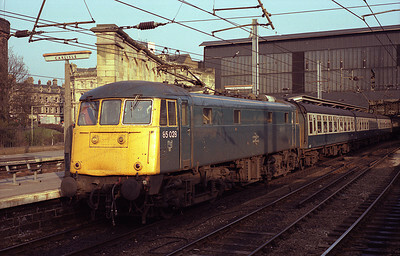 50034+50008 pass Oxenholme with a railtour 30/1/88. 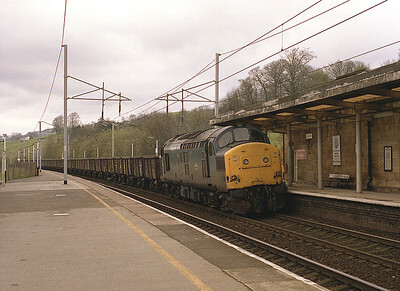 47475 stands at Oxenholme with a control relief 30/3/88. 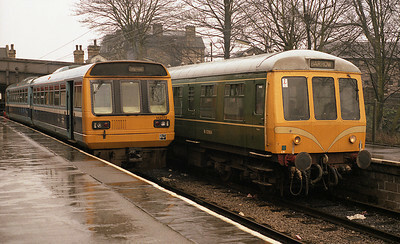 142072 stands beside M53964 in the bays at Lancaster station 1/4/88. 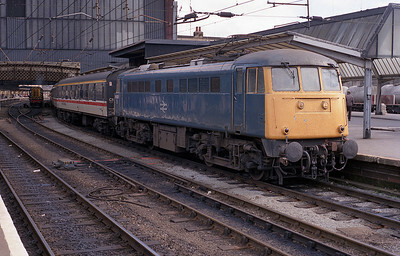 85028 stands in Carlisle with the 11.32 Exeter-Glasgow/Edinburgh relief on Easter Monday 4/4/88. 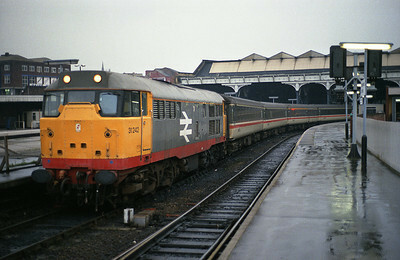 One of D200's last mainline runs was a railtour from Manchester Victoria to London Liverpool Street, seen running round the stock at Victoria 9/4/88. 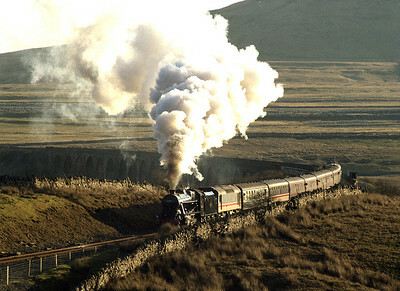 Regularly 26 hauled was the Wednesdays only Carlisle-Preston vans, seen passing Oxenholme on 13/4/88 with 26029. 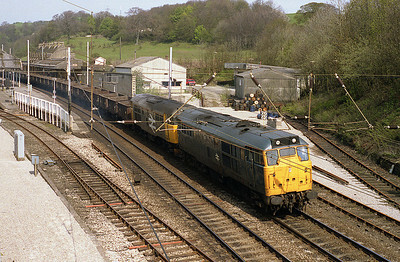 31270 stands south of Oxenholme with the overhead wiring maintentance train 24/4/88. 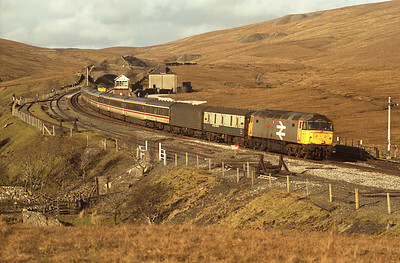 37198 passes Oxenholme with a spoil train on Sunday 17/4/88. 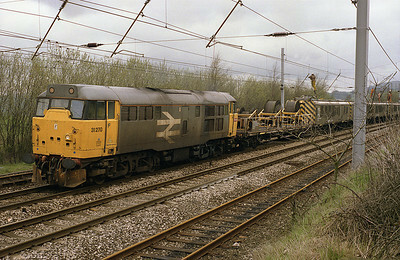 On Sunday 24/4/88 31225+31312 pass Oxenholme with a spoil train. 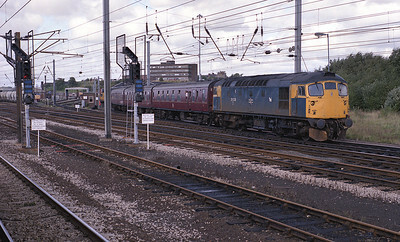 The summer Saturday 14.05 Blackpool North-Glasgow/Edinburgh pauses at Lancaster 25/6/88, hauled by 85013. 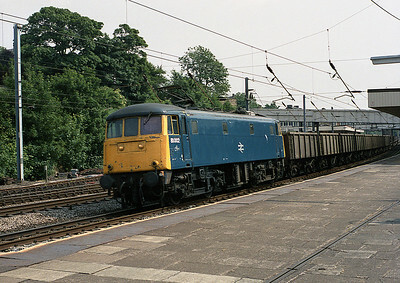 81002 passes Lancaster with a northbound freight 25/6/88. 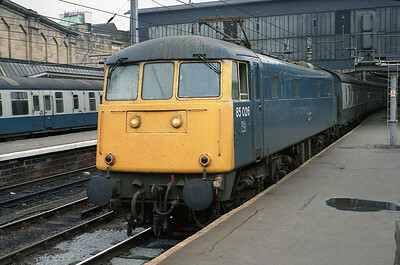 85026 stands in Carlisle's platform 3 with a northbound relief train May 1988. 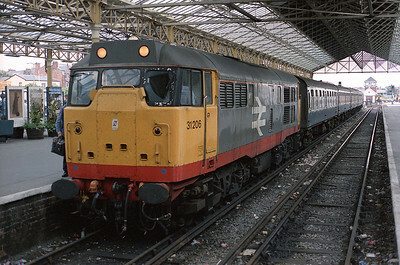 31206 stands at Southport having arrived on the 17.07 from Manchester Victoria 21/7/88. 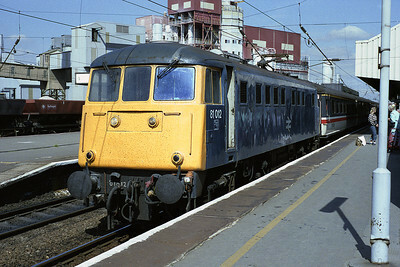 81012 pauses at Warrington with the 08.40 Glasgow-Birmingham relief 26/8/88. 26039 shunts charter stock at Upperby 27/8/88. 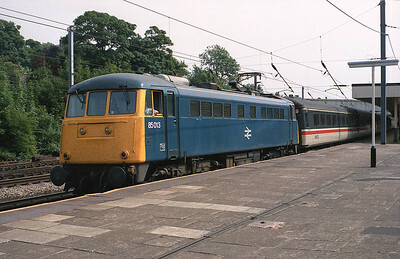 A northbound motorail service pauses at Carlisle on 27/8/88 hauled by 85020. 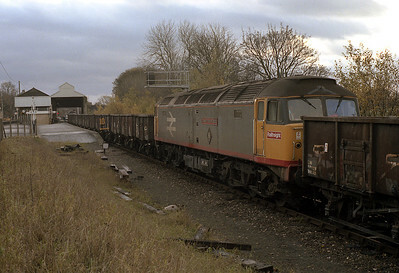 Loco hauled substitutions for DMUs on the Tyne Valley were a regular event for many years. 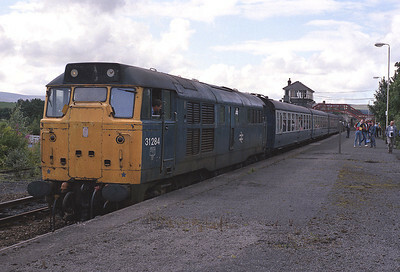 Here 31284 stands at Haltwhistle with the 12.37 Carlisle-Newcastle 31/8/88. 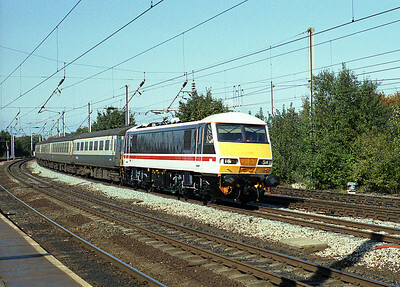 Brand new 90014 hauls a test train through Lancaster 16/9/88. 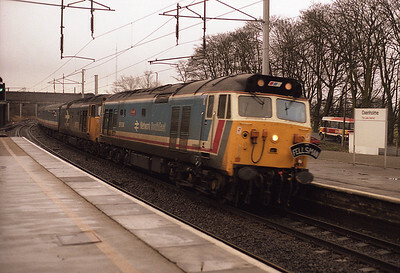 87101 "Stephenson" stands in Carlisle with the 07.20 Euston-Glasgow 3/10/88. 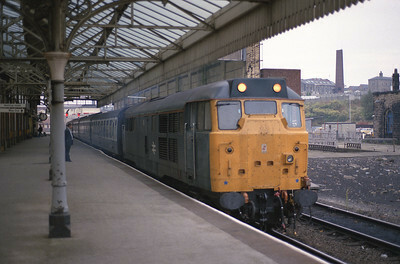 31414 waits to depart Blackburn with the 18.05 to Manchester Victoria vice DMU 3/10/88. 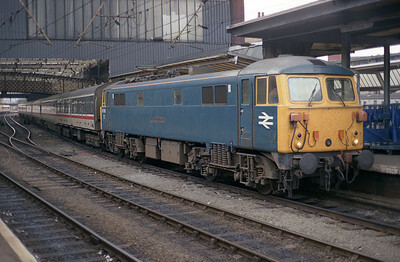 On a dismal day 31242 waits to depart platform 14 at Manchester Vic with the 18.20 to Glasgow 4/10/88. 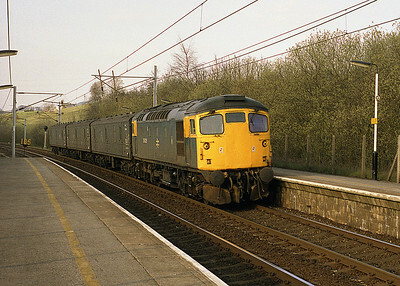 An unusually short 06.57 Coventry-Edinburgh waits in Carlisle Citadel hauled by 81019 6/10/88. Another grim winter Sunday sees plenty of activity at Oxenholme. 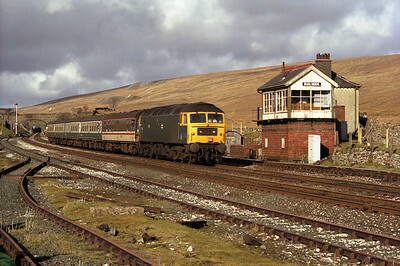 26034 arrives with the electrification train whilst 47354 stands in the Windermere branch platform with a spoil train 13/11/88. 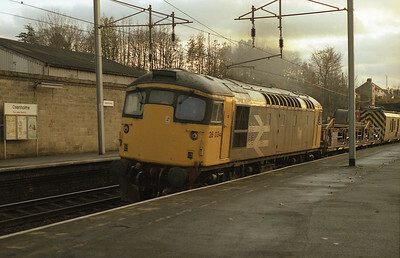 After running round in the down loop, 26034 departs Oxenholme for Upperby with the overhead wiring train Sunday 13/11/88. 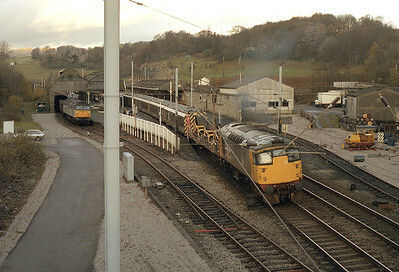 An unusal scene at Oxenholme on Sunday 13/11/88. Due to over running engineering work 2 spoil trains have been recessed in the Windermere branch platform. 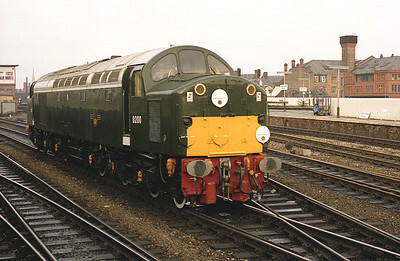 Nearest is 47214 "Tinsley Traction Depot". 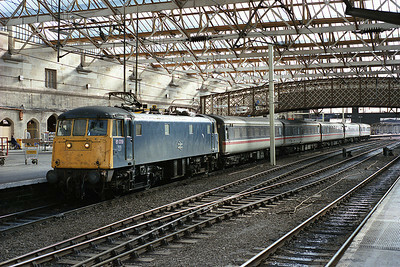 No heat 47117 passes Blea Moor box with the diverted 12.03 Edinburgh-Manchester Victoria 11/3/89. 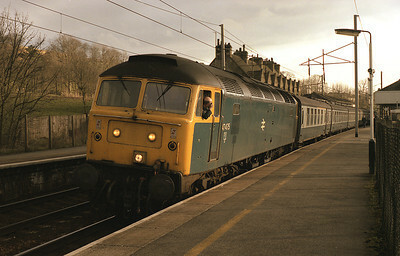 Another no heat loco pressed into service on 11/3/89 was 47365 with the 12.37 Glasgow-Euston passing Blea Moor. Standby loco 47340 is stabled in the up loop.